Oh, friends…. have I got a treat for you! 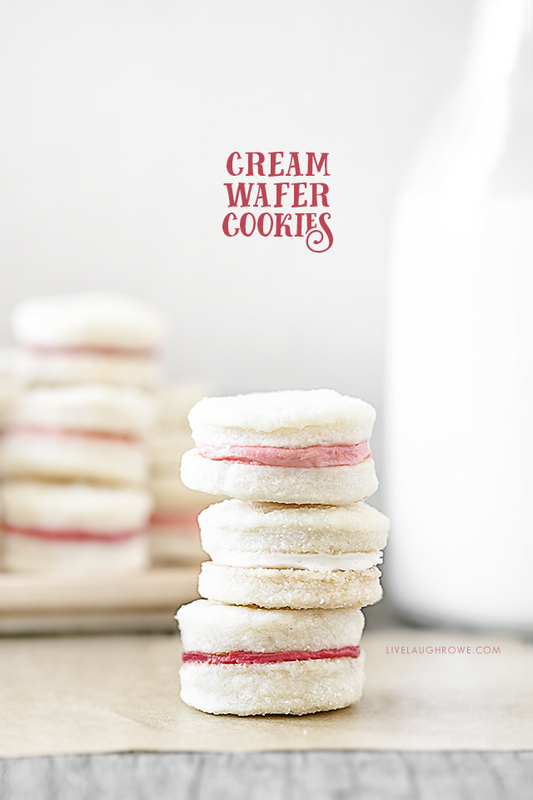 This Cream Wafer Cookie Recipe is not only amazingly delicious, but I’m confident that’s it’s going to be your new favorite cookie. Uh-huh…. 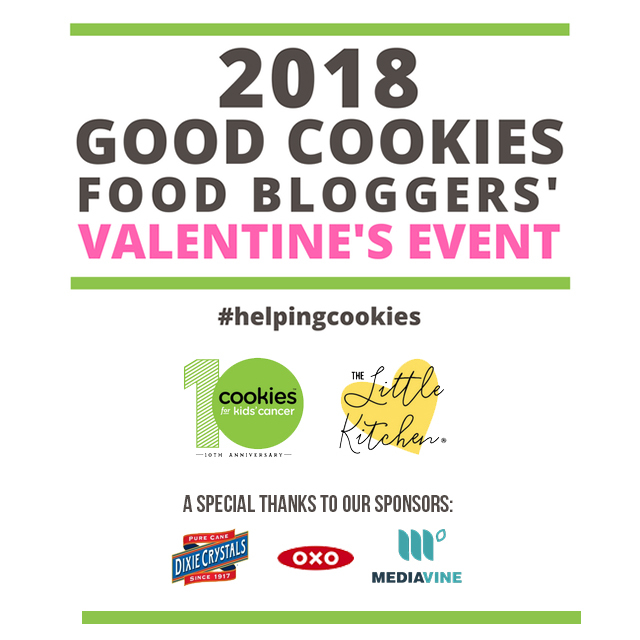 They make a great Valentine’s Day Dessert too. I remember helping my mom make these every year for Christmas… I’m not sure why, but we only made them over the Christmas holiday. Hmmm… However, I’ve been thinking that they’re waaaaay too good to only be enjoyed once a year. IMHO, of course (wink). 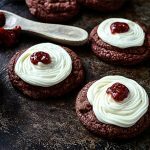 And while I’m sharing this recipe for Valentine’s Day — the filling can be so versatile by adding additional flavors and/or colors. 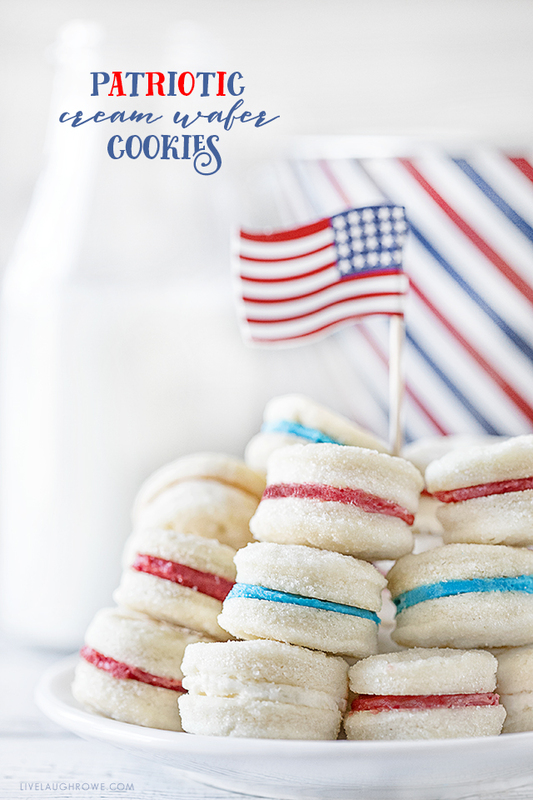 Delicious and options is a win-win for a cookie recipe, don’t you agree? 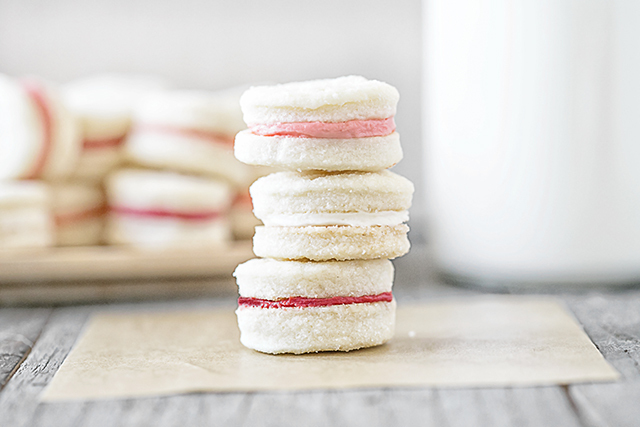 Let’s get to the sugary sweets — and make this yummy Cream Wafer Cookie Recipe. 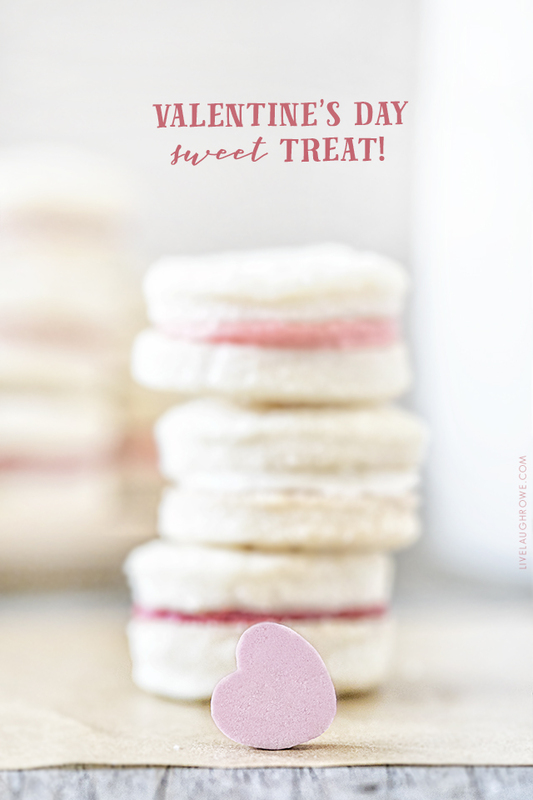 They’re a perfect sweet treat for Valentine’s Day. I love the pink, white and red. Heat oven to 375. Roll about 1/3 of dough at a time, approximately 1/8 inch thick on floured cloth-covered board (keep remaining dough refrigerated). Cut into 1-1/2" rounds. Coat both sides with sugar. Place on ungreased cookie sheet. Prick each round with fork 3-4 times. Bake 7-9 minutes, until set but not brown. Remove from cookie sheet and allow to cool. 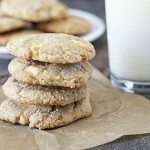 Put cookies together in pairs with filling (see below). Mix powdered sugar, softened butter and vanilla until smooth and fluffy. Beat in a few drop of water, if necessary. 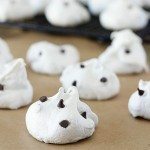 Filling should have a smooth, spreading consistency. 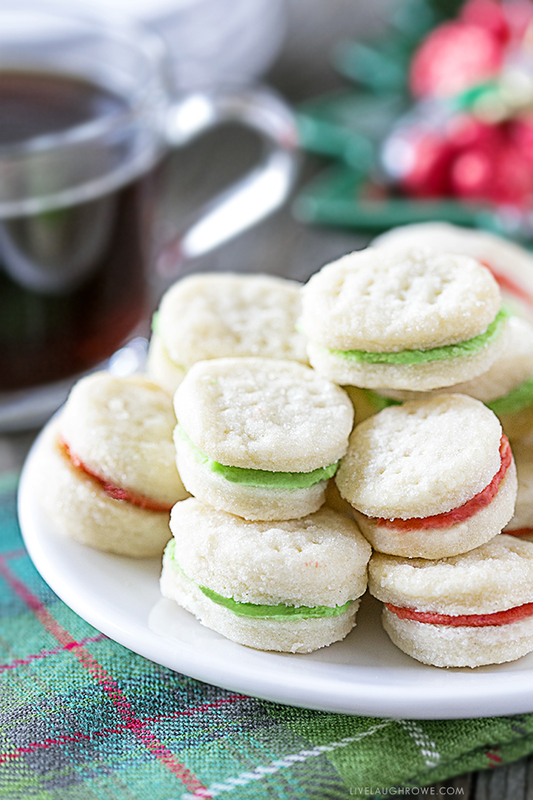 Add food coloring to filling for different holidays. 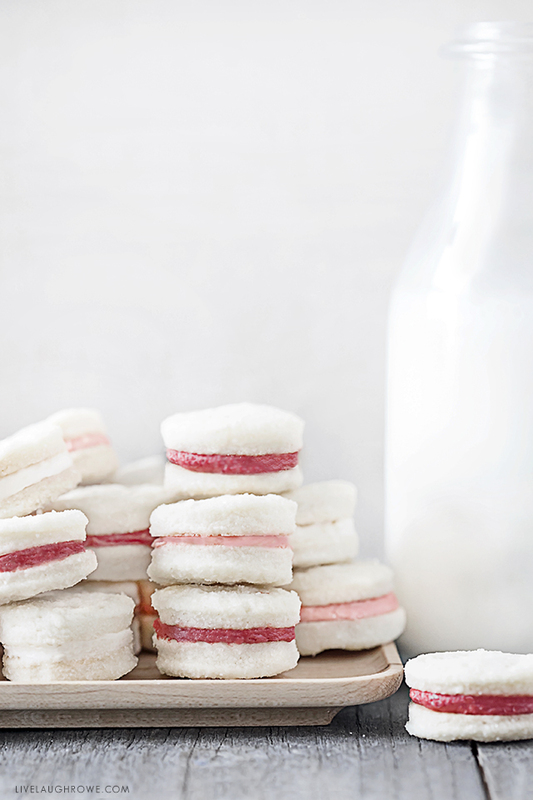 Last, but certainly not least — here are the recipes from the other participating bloggers. Enjoy! 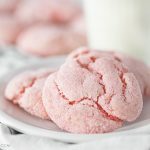 These looks so delicious and i love that you can change up the colors of the filling! Happy to be part of this great fundraising event with you Kelly! I have made these for years and we just love them. They are so delicate and mouthwatering I can’t imagine anyone not liking them. I found the recipe in a church recipe book. We always made them about the size of a button and used a toothpick to poke four holes in them. I may not wait till Christmas this year. Thanks for sharing your recipe…it is a keeper that’s for sure.